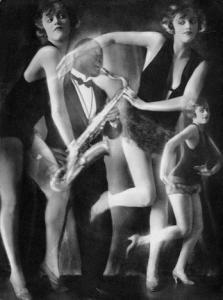 A scandalous roaring 20s 2-Step. Small steps, close embrace, lots of body wiggle. You can clearly see the origins of Shag and Balboa in this. Here is a listing of most of the highlights of the Swing scene in the Los Angeles area. Most of it is courtesy of Chris Gauntt. This covers frequent events, and not annual things like the Avalon Ball. I will add to it and edit based on comments and suggestions I receive. Downtown Los Angeles. A recurring but not consistently scheduled event in a beautiful Art Deco nightclub, featuring different live bands with themes ranging from Roaring '20s to Latin, to '40s Swing to 1960s big band. Check their calendar for the next show. A video pastiche of Waltzing in the 1920s and 30s. Emerging around 1923, the Charleston was a ground-breaking dance in its time. It was enthusiastically embraced by the youth of the Jazz Age, who found in it an outlet for their desire for novelty, exuberance and a total break with the social constraints of the past. It was also revolutionary in its strong solo elements, where a dancer would perform without a partner, or physically separated from a partner, in a way that was quite a revelation for the white dancers of the early 20th Century. In the heady days of the Roaring '20s, it even made occasional forays into the dancing of adventurous minded adults in a way that later youth dances did not. In 1926, you might have seen a 35 year old succumbing to an occasional fit of Charleston. In 1936, was far less likely you would have seen a 35 year old dancing a Lindy Hop. There are a few widespread notions about the Charleston that I hope you can, if you happen to entertain these notions, set aside while reading this. I will hit on just a few clear reference points that give a sense of the flow. This collection is nothing like comprehensive - and never could be since only a tiny fraction of what the kids of the Jazz Age were inventing ever found its way to film. Further, the vagaries of copyright limit what I can post here. I present these films with a minimum of commentary, and will mostly let them speak for themselves. An overview of the Foxtrot in the Jazz Age (1920s-1930s) showing its infinite adaptability. All footage is from the era. While dance teachers of the time liked to make distinctions, music publishers, bandleaders and dancers lumped almost any dance in 4/4 or even 2/4 time under the title "Fox Trot" unless it was obviously a Tango.